Posted on Aug 24, 2015 by Appleton Downtown Inc. I wasn’t quite sure what to expect when I signed up to be an ADI guest food blogger. Boy, was I in for a treat! I decided to share all my bounty with a few friends who are up for adventures in eating, as I had no clue what I was going to do with my mystery ingredients. The farmer’s market vendors I was given were Red Belly Farms, MainLee Cooking and Arthur Bay Cheese Company. 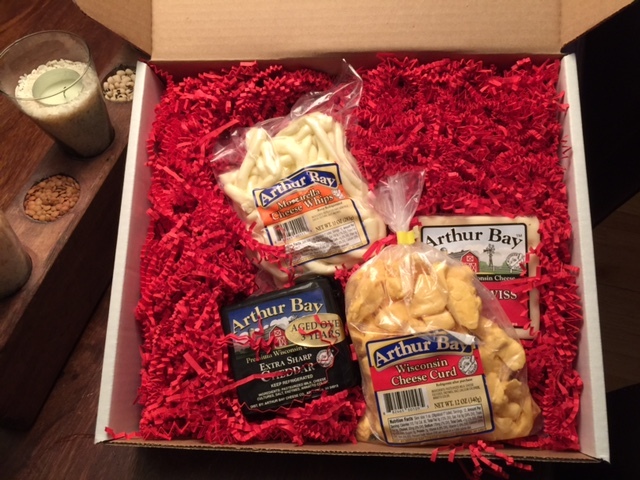 I started my adventure at Arthur Bay Cheese Company, picking up a box of cheese selections: fresh cheese curds, fresh string cheese, baby swiss cheese and the 3 year cheddar. Arthur Bay has a production plant in Appleton, where the cheese is processed and packaged. The young man at their tent was very helpful and informative. The cheese curds were delightfully squeaky, and quite tasty. They are made fresh daily for maximum squeakiness. I was not aware that all cheddar cheese begins as curds, and is then pressed together to make the cheese block, and they are not left overs, or crumbled from blocks of cheese. The string cheese was super fun to eat, and again, quite tasty just by itself as a snack. The 3 year cheddar has a nice sharpness, but not overly so. 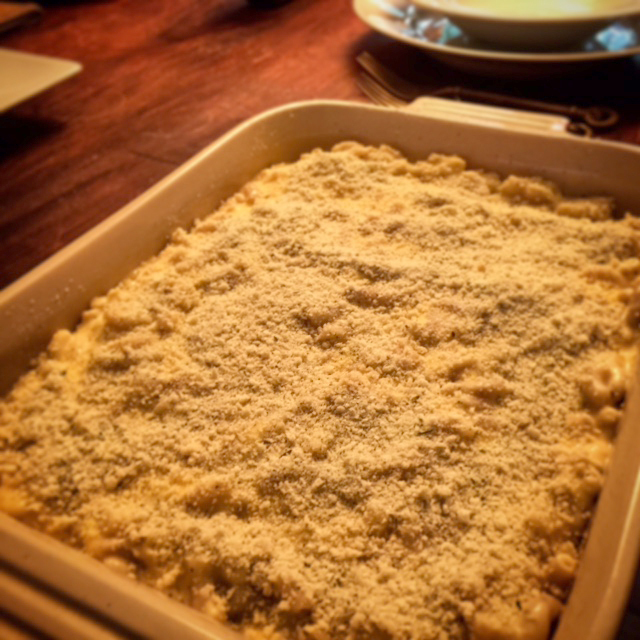 I took the swiss and the cheddar and made an amazing mac and cheese dish that got rave reviews! Both cheeses melted nicely into a very smooth sauce. YUM! Home run number 1! My next stop was to MainLee Cooking. 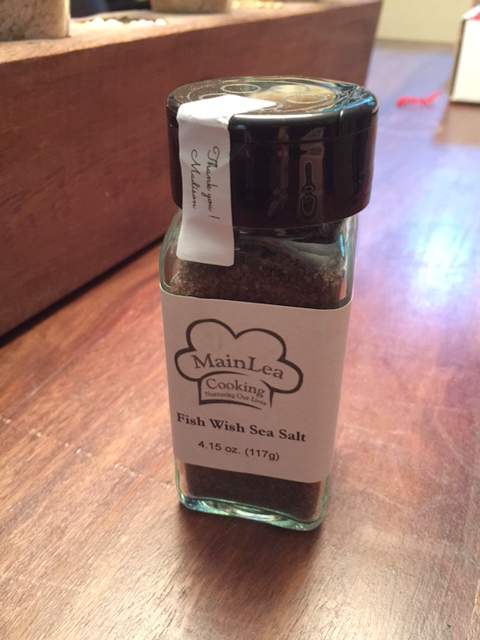 There, I got the Wish Fish Sea Salt, which doesn’t taste anything like fish, but has a great smoky aroma and flavor. This sea salt is smoked over untreated wood for a sweet, smoky taste. The good folks at MainLee were very helpful in describing the process and how to use the salt. It is good to use with fish, pork, soups, and salads, and imparts a really pleasant smoky note to dishes. I used it more as a finishing salt instead of a main seasoning, as a little goes a long way. I grilled some chicken, and sprinkled some of the Wish Fish Sea Salt on after it came off the grill. It added a great smoky note, that was really nice. My last stop was Red Belly Farms, which is a family operated farm in Chilton. 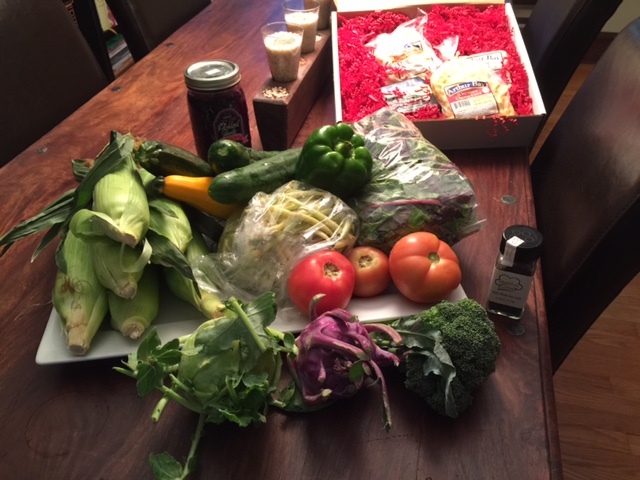 In addition to the farmers market, they also run a weekly CSA Program that offers people a convenient, option for getting fresh, locally grown vegetables. Members get around 20 weeks of fresh produce. They all kinds of fruits and vegetables available seasonally. Boy did I hit the mother load with Red Belly Farms! I was handed a bag of corn, thinking that was it and started walking away, to be called back with “Wait, there’s more!”. And wow, was there more! I was handed a big box full of fresh produce. I had no idea what was i it until I got home and opened the box. I was amazed by all of the goodies in my mystery box! The folks from Read Belly are very generous, and there produce was so delicious. The only way to get it fresher would be to pick it yourself. So, back to the box. When I opened it, I was greeted by some of the most beautiful produce I have seen in a while. One of things, I didn’t even recognize. Sweet corn, broccoli, tomatoes, green and yellow green beans, peppers, zucchini, yellow squash, cucumbers, baby field green salad mix, green peppers< pickled beets and, finally, green and purple kohlrabi (the mystery vegetable). I decided to do something a little different, since there was so much amazing produce. 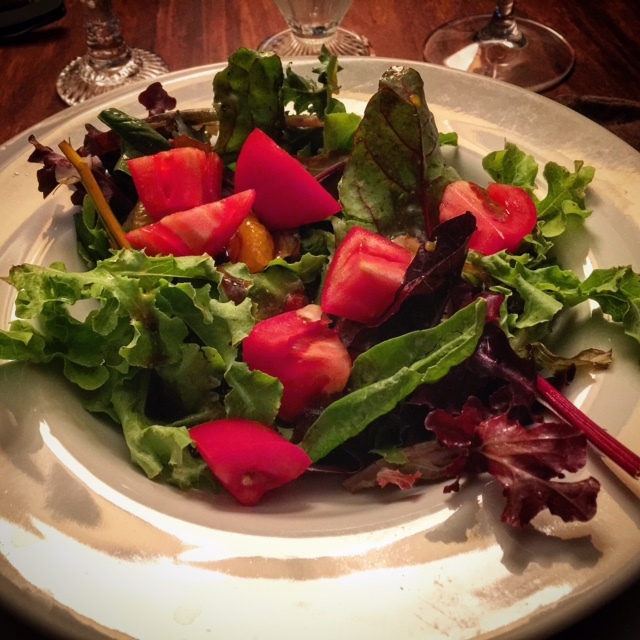 The first course was a salad with the baby field greens withe the tomatoes, cucumbers and a balsamic dressing. For the main course, I made “noodles” out of the zucchini and yellow squash. 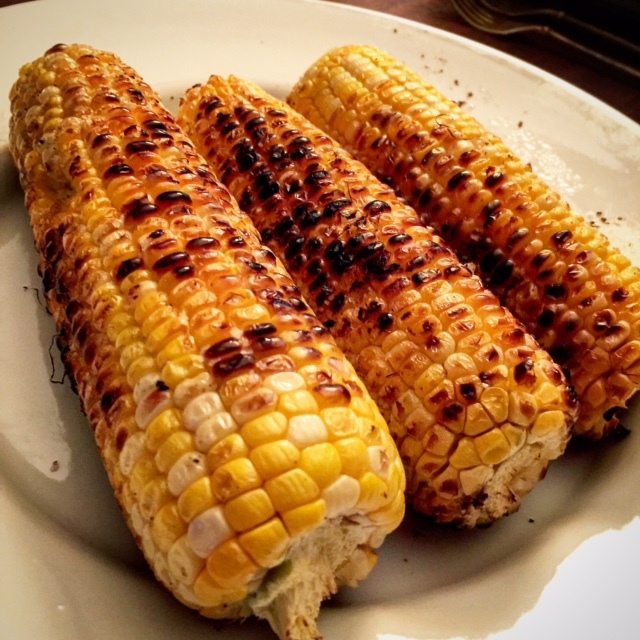 I grilled the corn, roasted the broccoli, beans and kohlrabi (which brought out a really nice sweetness to the kohlrabi). I then sautéed the noodles, mixed in the corn, zucchini, beans and kohlrabi. I tossed all of that with some homemade pesto, and topped with the grilled chicken that I had finished with the MainLee Wish Fish Sea Salt. WOW! 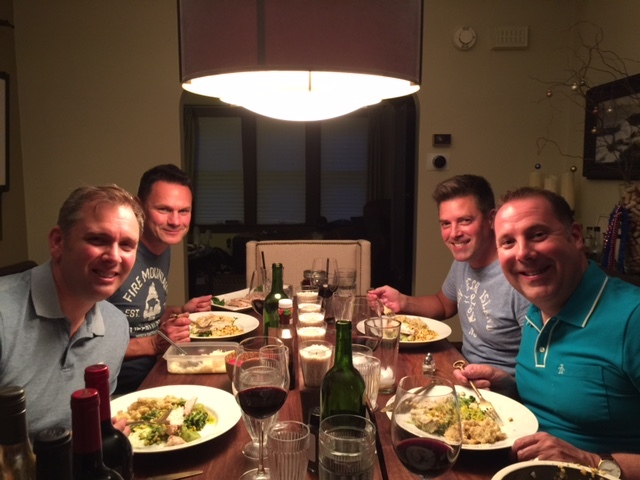 Everything was delicious, and my dinner guests were very happy, and thankful I was part of the ADI guest food bloggers. In closing, all three vendors have amazing produce and ingredients, and I will be visiting all of them again...soon! Arthur Bay is located outside the Trout Museum on College Avenue. Red Belly is in the 4th block of the Farm Market on College Avenue between Durkee St and Drew St. Look for their red & yellow tents! 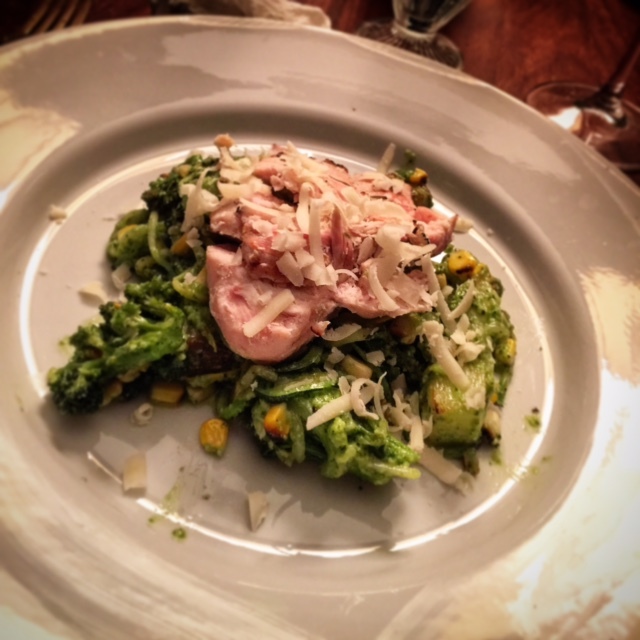 Main Lea Cooking is on Oneida St.
Michael Miller - Farm Market Food Blogger.